LA TRINIDAD, Benguet -- Two cadavers found in Sitio Poyopoy, Barangay Taloy Sur, still a pose a mystery to police investigators. 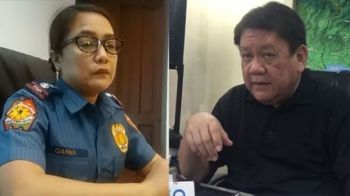 Police Chief Inspector Cherry Fajardo, officer- in-charge for the Police Information Office, said the investigation for the identity of the victims as well as the search for suspects to the crime are still under investigation. At about 9 a.m., October 15, scavenger Romando Buadilla Esmeralda, reported to Tuba police he found a male cadaver at the area. When responding policemen searched the site, the cadaver was already in advanced stages of decomposition. While into the search, police found another cadaver placed in a sack along the slopes of the mountain, the first cadaver was wearing black short pants and t-shirt with his head wrapped in packing tape and his feet bound. The second cadaver, also a male, was clad in short pants, a t-shirt, with his neck tied with a nylon rope with his feet and hands likewise bound. The Soco was requested for their technical assistance. Authorities suspect both victims were killed via summary execution, killed in a different location and dumped in the area. Records shows that since January this year, five bodies were found dumped in Tuba town within the same area. Residents and police here are asking the area be installed with street lights, to illuminate the place and stop the dumping of dead bodies in the sitio.